Everyone pretty much agrees these days that we are living in an era of ‘fake news’, or outright lies as it would be better called. You know the sort of things – £350m per week to spend on the NHS, Obama is a Muslim born anywhere but the USA, Scotland beat Wales at rugby and so on. But my attention was grabbed the other week by the idea that we had now moved on to fake shops. 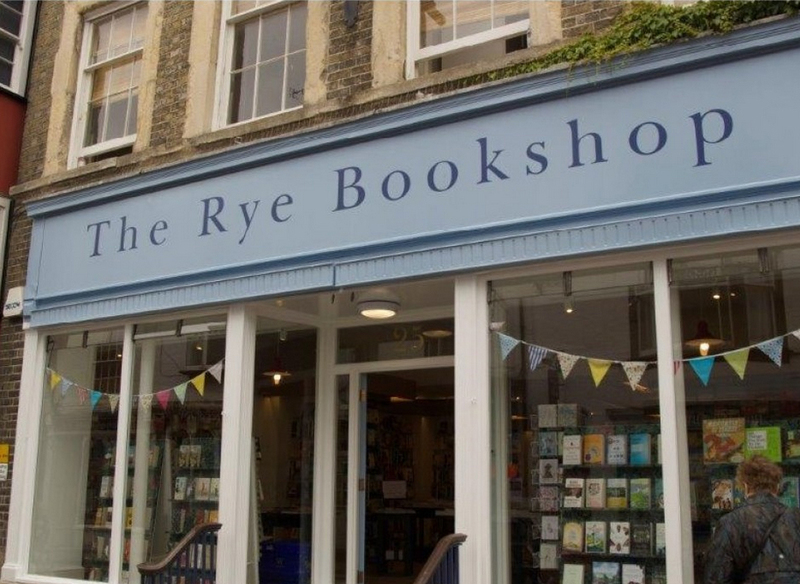 It was revealed that for a couple of years Waterstones had been running shops (in three English villages) that looked like an independent bookshop and were named accordingly. When I first thought of fake shops my initial reaction was the faux fronts plastered over the vacant units on the high streets. But this is a little different – a real shop, but not what it seems to be. There seemed to be a degree of outrage at Waterstone’s behaviour. It was somehow seen to be ‘beyond the pale’. Why is that? Three places have bookshops which people seem to like and value. That seems a result to me. But others reacted less well to those ‘passing – off’ attempts, seeing deceit, if not lies. The answer probably lies in the sector – the bookshop – and the place it has in some people’s minds and lives. The bookshop is somehow special and the loss of these places across the country is seen as an attack on culture. Amazon, despite its success, is not the same, and neither for many is Waterstones who are also seen by some as complicit in the closure of independent bookstores. So as the poacher puts on sheep’s clothing to mix some metaphors, people get upset. But if we look at retailing then whether consumers know the ownership of many stores is open to question. I never really got over the shock of finding out in the 1980s that Spud-u-Like (the baked potato chain) was owned by the British School of Motoring. Do we really care that Inditex has a few chains beyond Zara or that Edinburgh Woollen Mill is one of the series of brands owned by Philip Day? And do you really know who is behind many of the online and catalogue retailers that abound? But when it comes to bookshops we seem to be outraged at someone trying something. Perhaps we could insist on the ownership of stores to be revealed at the store level (beyond the small sign in the window of these books shops which identifies them as the trading arm of Waterstones)? We could force consumers to confront the reality say (and get this image out of your mind if you can) of Mike Ashley as Agent Provocateur. Ownership is often remote and complicated in retailing, and given the state of the sector, we should perhaps be grateful for anyone wanting to open or save stores. In other news, Tesco, Sainsbury, John Lewis and others all took an axe to parts of their labour force, as the pressure on the margins and capacities in retailing began to become real. With evidence that real wages are negative and inflation is accelerating, it is hard to see this ameliorating any time soon. Pressures will continue to rise. And finally, the Daily Mail declared ‘Sir Shifty’ is well on the way to redemption having paid up £363m for the BHS Pension Fund and topped up the Arcadia equivalent. Given past history and the stance of Dominic Chappell this story probably has more twists and turns, but if the Daily Mail says his knighthood is safe then Sir Philip Green it will probably remain. But as we wait for the final denouncement, spare a thought for towns with BHS sized gaps in their high streets and the workers they used to employ. They are the real victims in this. This entry was posted in BHS, Brands, Employment, High Streets, Independents, Local Retailers, Places, Retail Failure, Sainsbury, Store Closures, Tesco, Town Centres, Waterstones and tagged BHS, Bookshops, Brands, Employment, High Streets, independents, Passing-off, Philip Green, towns, Vacant Shops, Waterstones. Bookmark the permalink.